When you walk over to the right hand corner, you enter a portal that can take you to one of four memory islands. How cool! The next island is a treasure island sorta place. Obviously Rockhopper wants all the gold! The last island is the Dream Factory. This is where all his dream productions are made. Look at all the behind the scenes stuff! As you enter each room, look the memory orbs of Joy, Sadness, Anger, Fear and Disgust. 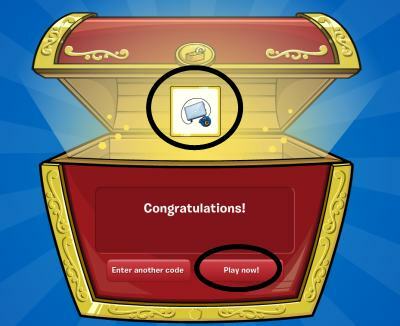 After you find all these items, you will be able to unlock everything on the page as well as get a special gift from Rockhopper for saving his life. Wow! I'm so happy we could save Rockhopper! That was a close one.